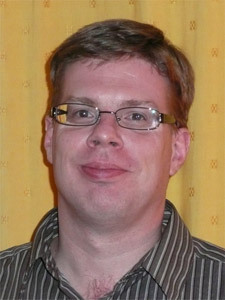 Jonathan Tomlinson received an honours degree in Chemistry (1988) and a PhD in archaeological science (1991), both from the University of Manchester. His research examines trade in the Late Bronze Age Eastern Mediterranean through the provenancing of pottery by chemical analysis. Jonathan first came to Greece in 1990 as a student at the British School at Athens, and returned in 1991 to work on the publication of results from his thesis. Several international scholarships allowed him to continue and expand his research and to conduct fieldwork at Knossos, Palaikastro and Kato Phana. He has continued to live in Greece since then, and became CIG’s Assistant Director in 1999. His ongoing research interests include the analysis of Mycenaean pottery from the Argolid and Corinthia.